One of the most famous typical products of Abruzzo are the lentils from Santo Stefano di Sessanio. They are a rare breed of brown-violet-colored that are very small and have been cultivated here in Santo Stefano di Sessanio since ancient times, even before 1000 AC. 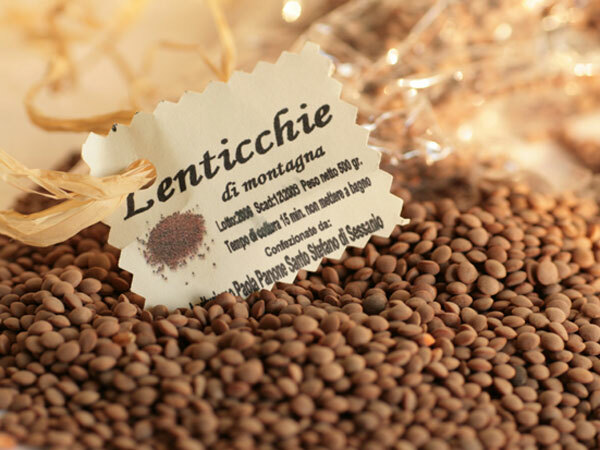 The lentils from Santo Stefano di Sessanio are cultivated at an altitude between 1200 and 1400 meters in dry ground. This ground gives them a such an intense flavor that it has made them very famous in Italy and all the Europe, so that they are sought by the most important chefs of the world. Today, the cultivation of the lentils from Santo Stefano di Sessanio is decreasing and they are now produced just for family consumption. 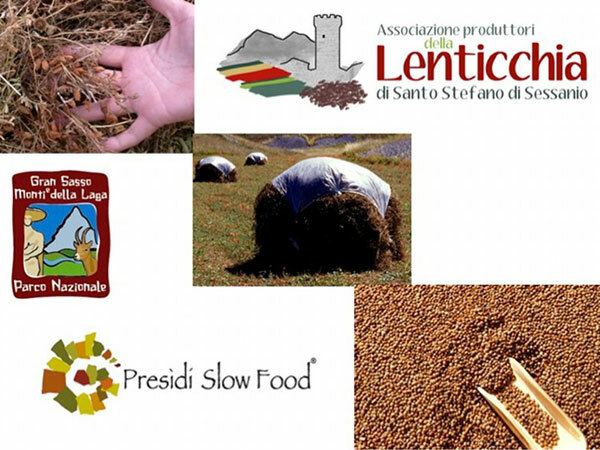 In order to avoid the proliferation of a market for false lentils of Santo Stefano di Sessanio that destroys local producers, a Slow Food Presidium, supported by the National Park of Gran Sasso and Monti della Laga, the Province of L'Aquila, the Mountain Community Campo Imperatore-this plain, by the municipalities of Barisciano, Calascio, Castel del Monte, and Santo Stefano di Castelvecchio Calvisio Sassanio, was established. The objective is to promote and increase the quality of this product and preserve the biodiversity of this area, ensuring to the farmers an higher profitability. The local producers are the main actors because the establishment of an association that brings together all the producers allowed the enhancement of the awareness toward this product and provided an opportunity for the development of this area. The main beneficiaries are producers and consumers. Producers will improve their profitability obtaining products with high added value optimizing costs. On the other hand consumers will benefit of an high quality product, especially thanks to the Slow Food Presidium that will control all the activities. The involvement of local producers together with restaurants will allow the diffusion of this product and favors the gastronomic tourism in this area. On September in Santo Stefano di Sessanio, a famous Festival of Lentils is organized, where dishes made of local lentils, such as lentil soup are served. The presence of an Association of producers will favour the diffusion of this product outside the Abruzzo Region.